Below are a few of my success stories with clients in Feng Shui and Bazi/Chinese astrology of the Four Pillars of destiny in London, the UK but also in Europe, Canada and the USA. Will you be the next one? Don’t hesitate and book your Feng Shui or Bazi consultation now! Marcos Brito aka Qboy, a talented London based hip-hop artist, has been a client of mine for years and I am happy to help him with his brilliant international career in music. It’s always nice to assist an artist who is famous enough to have a Wikipedia page! Laurent took a great deal of care and time in ensuring all the measurements were correct when he applied classical feng shui techniques to my home. The amount of work that went into it was astonishing, and it showed in the results, which were noticeable and precise. His suggestions on what can be done to change or improve certain areas of my home and in turn my life were helpful and effective, I felt a definite improvement to my life overall since. Laurent’s services are not limited only the immediate results of his expertise and knowledge, but he comes back time and time again to help, guide and improve your life and the areas you feel need a little extra care and attention. Always professional, always extremely friendly and most importantly – he is always correct! This organic restaurant is labour of love. When I met the owner Barbara Schellenberg in 2012, she was struggling with at the business, despite fantastic efforts: cooking everything from scratch, proposing holistic products based on whole foods, promoting the wisdom of food traditions inspired by the Weston A Price foundation…Still, the clients were few. Once I made the diagnosis, it appeared clear they were numerous problem hurting the business income: the colours used, the main door, important areas that were not stimulated, a room that was disturbing the centre of the building. Barbara was very willing and made most of the changes in the next two weeks. The following month, she saw a major increase in customers. Over the past two years, she has enjoyed a steady growth – and she acknowledge that the results are also in correlation to the Feng Shui cures when she implement them. 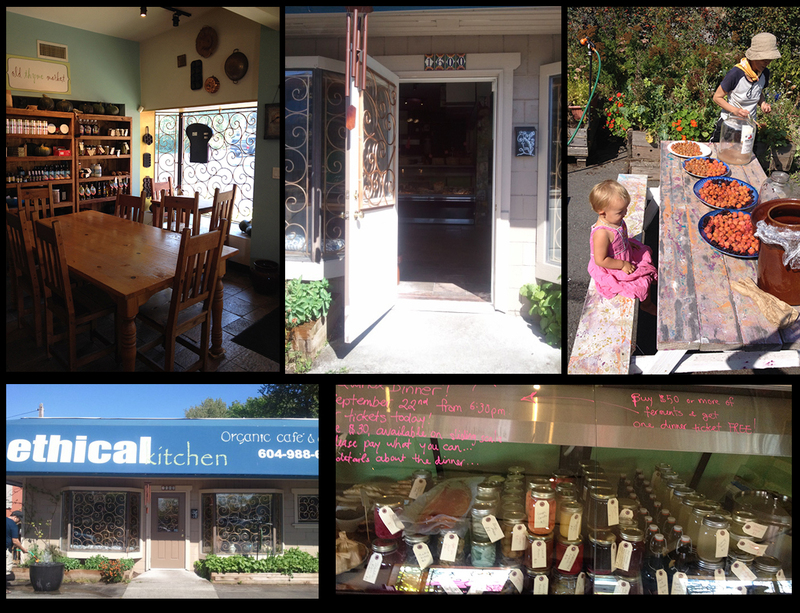 She was able to attract two different investors to share the business with her after our work, and Ethical Kitchen now has an organic grocery next door, which gave us the opportunity to revise a bit the layout this year, in 2014. If you come to Vancouver, do not miss an opportunity to taste the amazing food and to witness the labour of love that is Ethical Kitchen that now includes their own vegetable and herb gardens and a beehive on the rooftop! Organic restaurant in Vancouver Canada before the Feng Shui consultation. 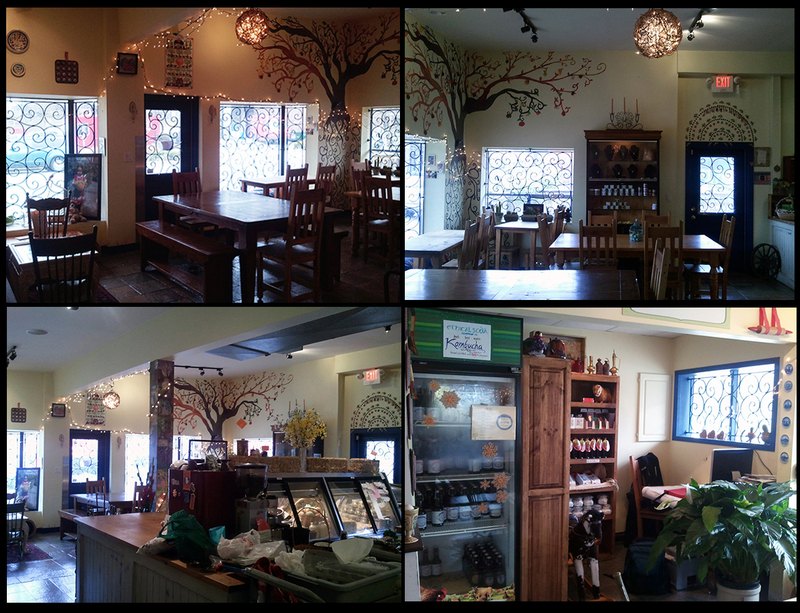 Organic restaurant in Vancouver Canada after the Feng Shui consultation. Well yes there is also a Vancouver in Oregon! This is where I help in selecting the location and designing the whole layout of the amazing Must Love Kids dentistry, a dentist office like no other! Check this video to see what I means. This amazing family who own this dental practice are real geeks if I must say (and so am I) and it was a pleasure to design their place and see what they fill it with from shopping at the San Diego comicon every year. Their practice has been steadily building business since their opening. Apricot forest: Chinese medicine clinic in Wales, UK. Laurent Langlais is truly devoted to helping people unravel their life, as I am as a doctor. I do not necessarily believe in incurable disease, but I do regularly meet the incurable mind. I do not waste my precious time here with these people. I will though find, and do whatever it takes to move people into their health and fulfillment. There must be a 1000 ways to heal people and I would not hesitate to use Laurent’s skills and wisdom as a consultant to help me with getting a patient healthier, as well as my bodywork or herbal medicine. The best and most permanent healing must come from within, these charts and home or business property assessments help you to make positive and beneficial changes immediately. Below are some other Feng shui and Bazi Chinese astrology testimonials that some clients were kind enough to share. I would highly recommend Laurent for the BAZI analysis he did made for me; He provides experienced advice to anyone who feels the need to improve him / her self. He always give you a clear answer on your questions. He knows BAZI and Date Analysis very well. And I ‘m sure to let him do the Feng Shui on my apartment. He is friendly and helpful. He is a great spiritual person. Laurent is very professional in his approach to the work that he does. I found my session with him to be incredibly enlightening and found Laurent to be a trust-worthy and personable character. I’m really pleased with the results of your visit to us and I wanted to let you know that the bathroom and bedroom colour change are really working well for me. Since painting the bedroom I have slept and got off to sleep. It is such a calm and nourishing room now. As you know I was reluctant to make these changes as I loved the colours I already had in those rooms, so I started with the change of computer location which made an immediate difference, then the wall colour in the living room, this immediately calmed the erratic energy of the household down and daily life was more anchored. Next was the bathroom as you had identified this was important to improve my health and again I couldn’t imagine how the bathroom would feel good in the colour you suggested, having now painted it the quality of the room is incredible, it is tranquil and I feel at peace and refreshed in there. Next was the bedroom where I am now getting peaceful sleep. Having experienced these great benefits already from some simple changes I am now gradually and steadily continuing with the other changes. Thank you! I asked for a consultation by a Feng-shui consultant mainly because my 2 year old daughter was always sick and not sleeping. We worked out that her room had a negative influence on her health. (Her being a “metal” and the room a “fire”). Although I could not move her from this room we changed the colours of the room and the way the furniture was positioned in the room (+ the other smaller changes in the flat). After a month she finally started sleeping through the night and her health started also to improve.Thinking back on it, I realised that the changes made sense in a “common sense way” even if in Feng-shui it is seen as the circulation of energies. I have been impressed by the knowledge of the consultant and by the logic found in the Feng-shui. Thank you Laurent for what you did for us and with our house. We are delighted to have called you when moving in London. We really appreciated your work, your dedication, your availability and your knowledge that is so specific and specialized. Indeed we think that the fee you have asked us is absolutely fair considering the time you spend on our charts, on our house and for the knowledge you share. We have since witnessed some improvement in our lives after implementing the changes step by step. Nowadays we feel at ease in our house and in our lives. We were also really appreciative of your follow up after the consultation. It was a very enlightening and positive experience so thank you again! Freelance PR Manager in Dubai. I have been a client of Laurent for the past 4 years, and I am very impressed with his skills, expertise and insightful feedback. Using information from my date of birth and hour of birth, Laurent provided me with a very detailed bazi chart that gave me many insights and guidance into my personality,career and lifestyle. The feedback was detailed, precise and gave good indications of timings and life changes. I am also currently working with Laurent on Feng shui for my apartment, to create a positive living environment that suits my needs and introduces further positivity into my life. Laurent is also excellent with the tarot predictions, and so far his accurate interpretation of tarot during my readings has proved to be very impressive – he is very good at picking up on emotions and energies, and not only is it accurate, it is honest – and you can rely on Laurent telling it like it is.